The Birth Control and Sexual Health Centre has been serving the community since 1972 and provides sexual health services to women, men and transgendered clients. We are client centered and our goal is to provide the information and medical services needed to make informed decisions about your sexual health. 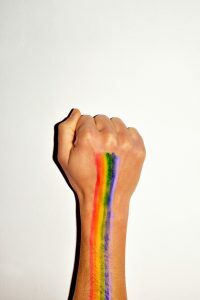 We provide free services in a caring and non-judgmental manner to a diverse community, recognizing the differences in gender, race, ethnicity, sexuality and ability of our clients. We do not require a health card. There is no age limit or geographic boundaries. We are pro-choice supporting all decisions regarding an unplanned pregnancy. The centre is staffed by health educators, nurses and physicians. We are a registered charity and donations are always welcome. 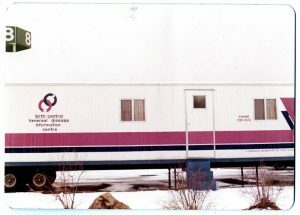 We were the first sexual health centre in North York and in the beginning used a mobile trailer to meet local needs. We initiated one of the first programs for Somali women on female genital mutilation (FGM), providing educational sessions for health care professionals, teachers and community service workers. The centre served on the Ministry of Health Task Force on Abortion Access as well as the Task Force on FGM Prevention. The centre became the first anonymous HIV test site in North York and the second in Ontario, leading the Ministry of Health to designate anonymous test sites across the province. We established the first Herpes self help group and published the Herpes Handbook, one of the first resources on the subject. We also published pamphlets on sexual health for women with disabilities which were widely distributed. We were a founding member of the Ontario Coalition for Abortion Clinics which changed the federal regulations on abortion access and led to the establishment of free standing abortion clinics fully covered by OHIP. We are a member of the Network for the Uninsured working to provide health services to those without status. We are continuing to develop innovative and responsive ways of reaching those in need of sexual health services.